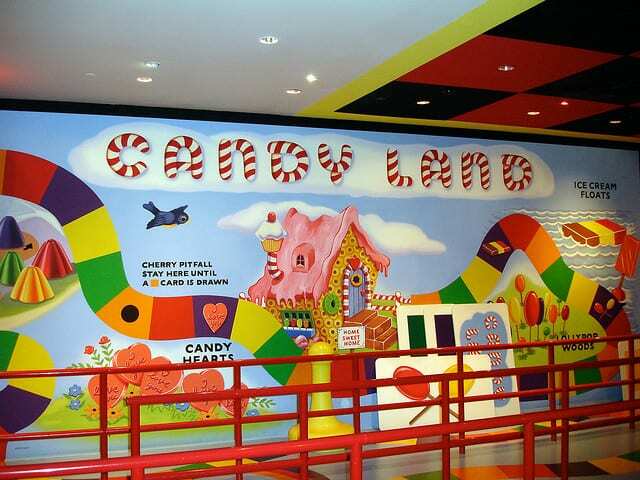 Create Your Own Lifesize Candyland Party. 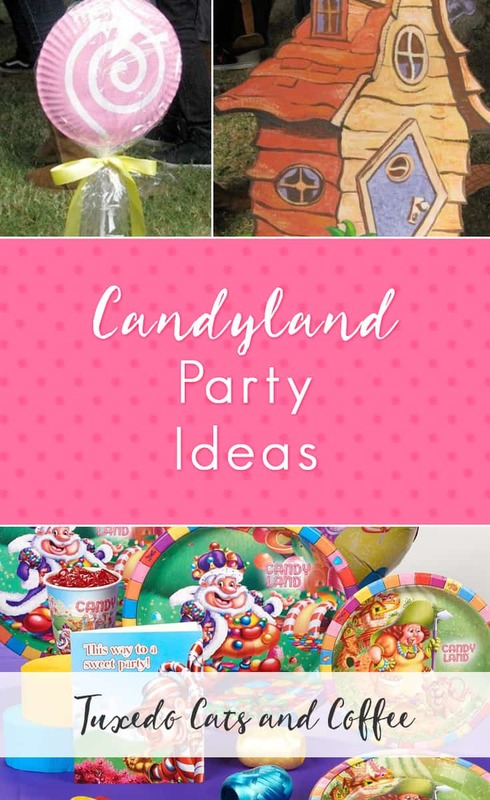 If you’ve ever dreamed of stepping into a lifesize game of Candyland or something similar to Willy Wonka’s chocolate factory, these candyland party ideas are perfect for you. 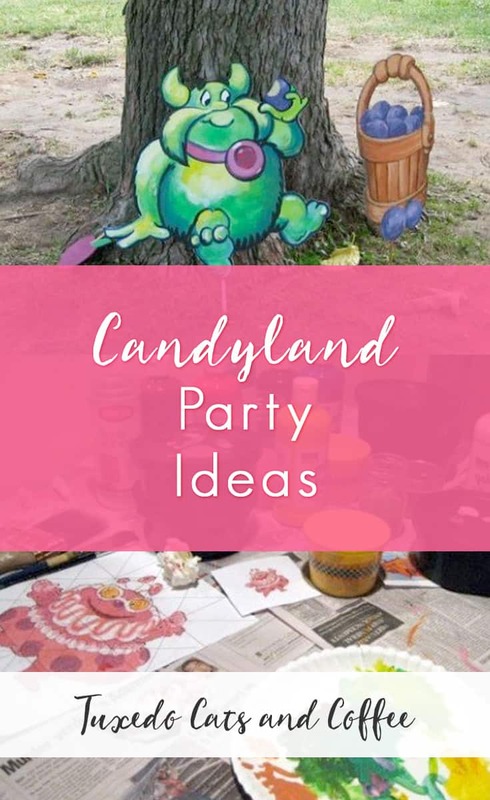 We have Candyland party supplies and decorations but we’ll also show you how to make your own Candyland decorations featuring the characters and backgrounds from the original Candyland board game. 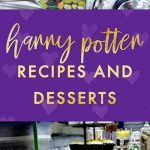 Want something premade? 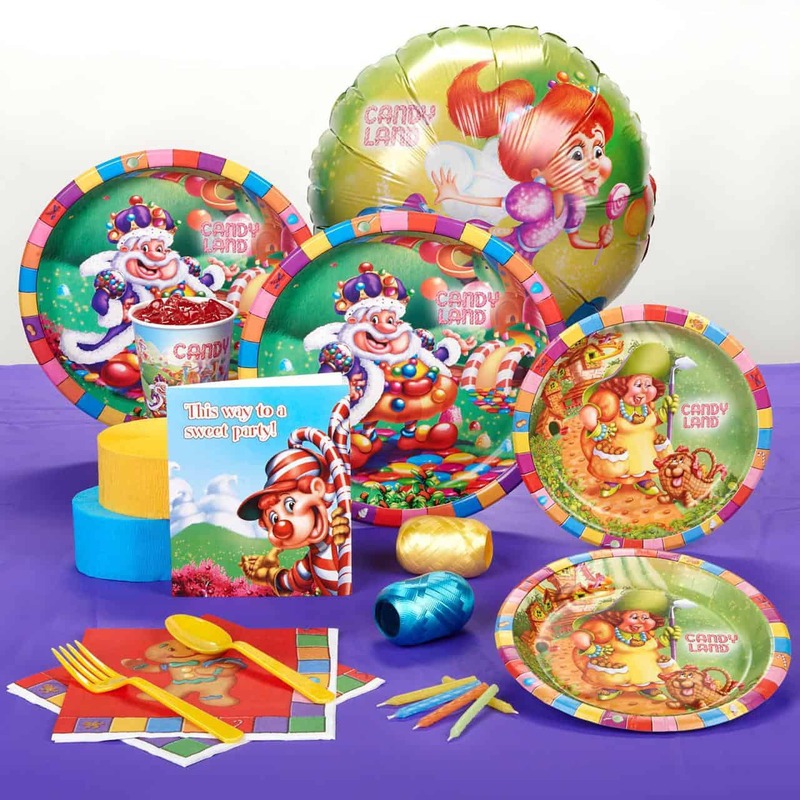 Check out this Candyland party pack with balloons, plates, and more that match the board game. 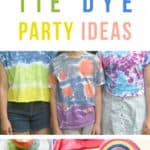 – Optional: a rainbow of different colored butcher paper. We made a life-size rainbow pathway on the sidewalk all around a school using 3 ft by 3ft squares of butcher paper. 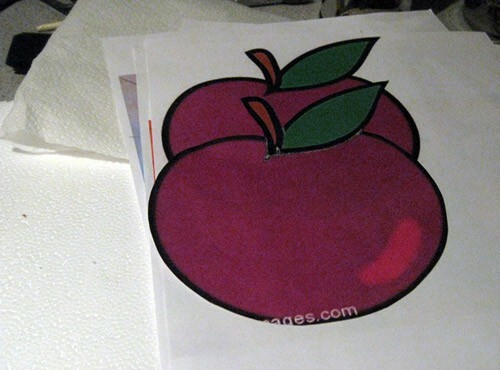 To make Plumpy, draw him on a sheet on thick cardboard around 2ft by 2ft. 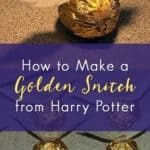 Once you’ve copied a pencil drawing onto the cardboard (using the board game or the internet for reference pictures), begin to paint him in with green for his body, light and dark green for highlights and shading, and purple for the plums and his necklace. 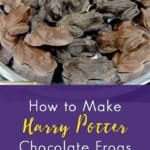 Finish by attaching a wooden rod or stake to the back with clear packing tape so you can stick the figure into the ground. We also had a painted cardboard basket of plums and a white paper face taped to a tree with our plums from earlier hanging by thread to the branches. 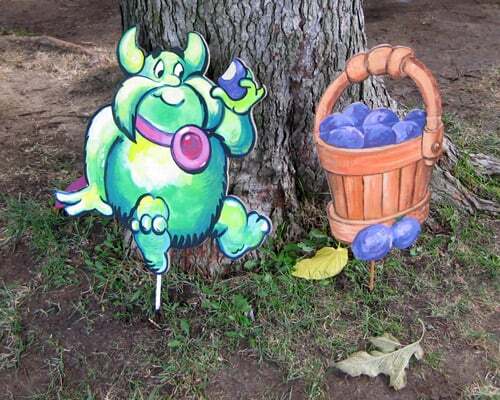 Here you can see a detail of what Plumpy and his basket of plums should look like, as well as the color scheme. As you can see from the picture, Jolly was also painted on cardboard with a stake taped to the back so he can stand out in the ground. The cardboard should be about 2ft by 3ft. 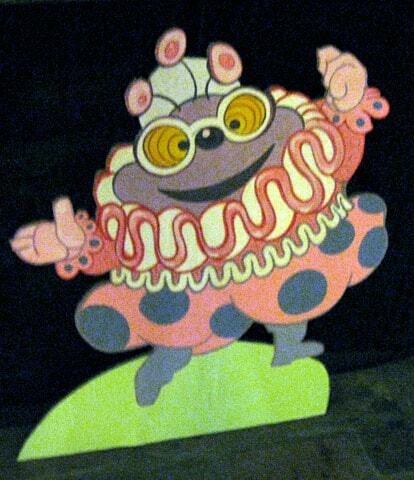 His body is light purple with a ruffly pink and white costume with purple polka dots and purple socks. He has white and yellow glasses and pink gloves and antenna. This cardboard was around 4ft wide by 3ft tall and designed based on the board game. Lord Licorice’s castle on the game is hard to see but you can stylize and design the castle how you like or to fit the size of your cardboard. The bigger, the better. You could also paint something onto butcher paper and tape it to a wall (but our event was outside). 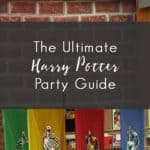 Attach several stakes to the back for support so it can stand up, and paint the cardboard a dark grey and black with red licorice-like turrets on the top of the castle. 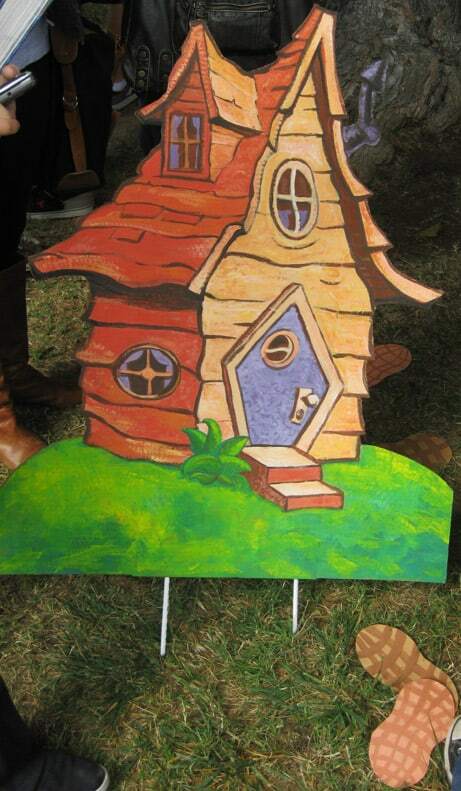 This cardboard was around 3ft tall by 2ft wide and painted with browns and tans, or in the color scheme of a peanut. The windows and doors should be purple. 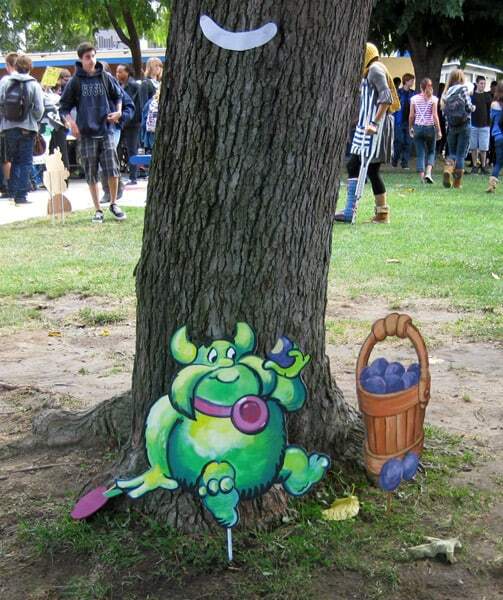 We also painted some peanuts to scatter around on the ground that were much larger than life, about 1ft long each. 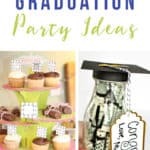 Or if this is an indoor party you could just use real peanuts somewhere. 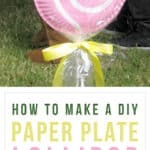 To make these lollipops, buy 2 or 3 ft wooden dowels from a hardware store and then use hot glue to attach two paper plates to the stick to form a 3D lollipop shape. 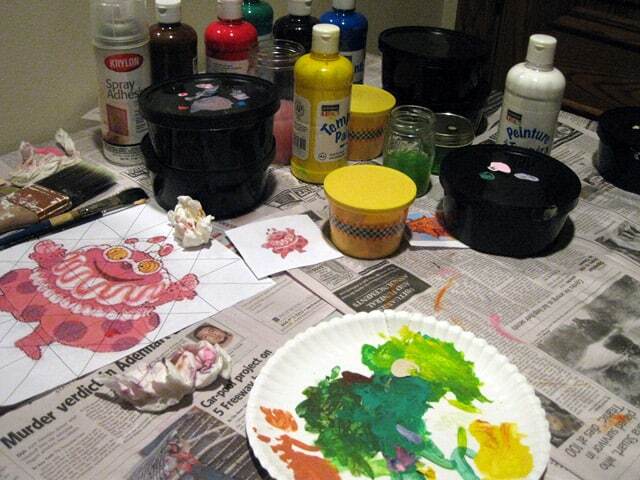 Paint and apply glitter and then finish with sheets of plastic (or plastic wrap) tied with ribbons. 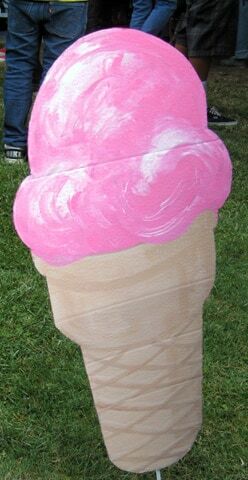 Paint some large cardboard ice cream cones for Queen Frostine’s ice cream sea. 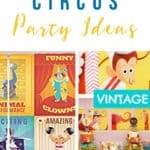 For an indoor party you could also use this as a dessert bar with ice cream sundaes and some pink ice cream cones painted around the table. 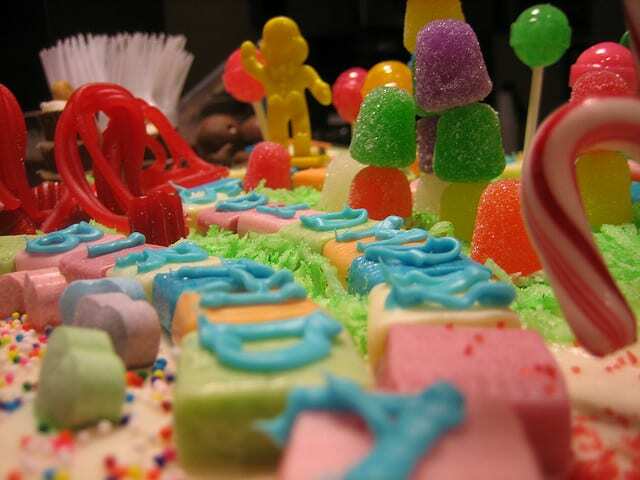 King Kandy’s castle should be the biggest decoration at your party. 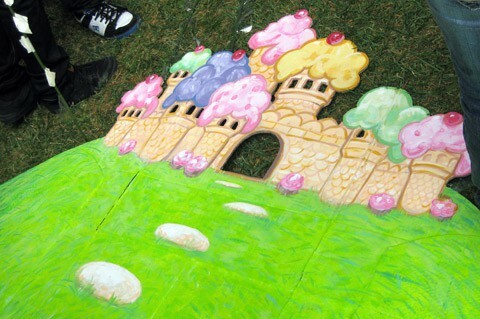 Ours was made from cardboard around 5ft wide and 4ft tall. 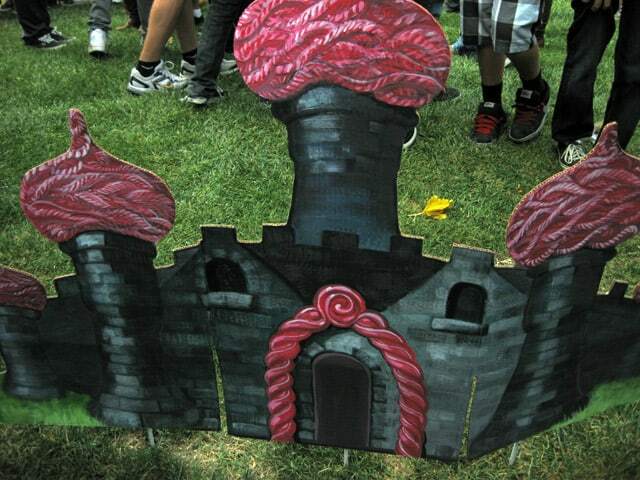 The castle should be painted to look like ice cream cones with colorful ice cream on top as the castle turrets. Like Lord Licorice’s castle, this could also be painted on paper and made to cover a door or wall.